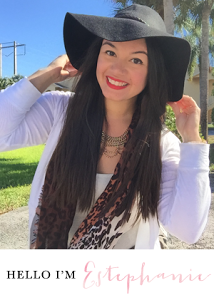 So I decided to try something out of the norm in mixing two different types of prints! 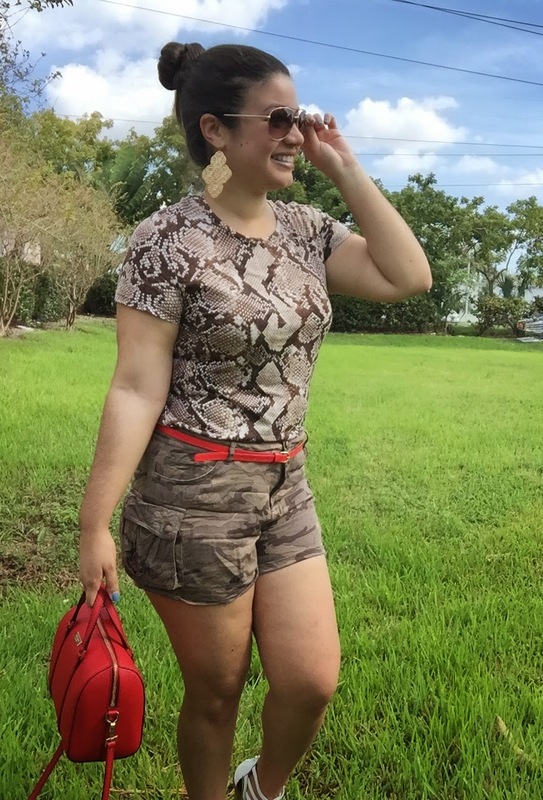 It consists of snake print and camouflage; at first, I was a little hesitant because both are so similar in color, but with the red belt as pop of color, I thought it turned out great ! :) I also paired it with my red Kate Spade bag (DUH!) and these white sandals that I love. That's the beauty of trying something new, you never know how it will turn out until you finally try. Which brings me to something else that I want to talk about: staying true to yourself and accepting who you truly are. Many people feel that everyone has to fit this "image" that social media and society sees as ideal, but that's not the case ! You have to be happy and comfortable in your skin, and embrace every curve that you possess. That is what truly makes us unique...that is what makes you, YOU!